Come join us for our summer programs! 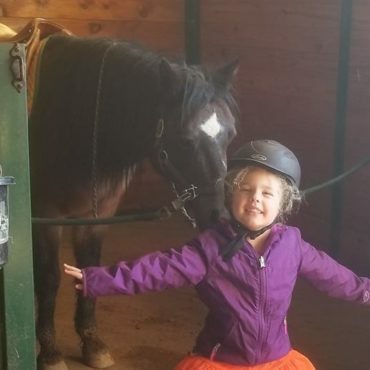 During the camps, participants of all skill levels (from beginner to advanced) learn horse care, do crafts, and practice horseback riding twice a day. "Derik has been diagnosed with ADHD, Asperger's and Sensory Processing Disorder. Riding is starting to increase his stamina and ability to do something for more than a few minutes. His self-confidence has increased and his ability to interact with other people. MVT has also been a great place to practice his social skills." "Wyatt will never be a loud person and riding is helping him develop strong self-esteem along with a voice. We saw progress from the first lesson and he continues to develop every time he has a riding lesson. For example, learning the 'click' for 'let's go' seems so simple, but it took encouragement for him to develop confidence in his voice to do it. There is nothing better for building self-esteem than sitting alone on top of a horse with the confidence to click 'let's go'."